Last month the nation and the San Joaquin Valley lost an icon of the world of poetry – Pulitzer Prize winner and US Poet Laureate Philip Levine. One of his lasting legacies was the rich poetry community which he helped to foster here in Central California. Names like Gary Soto, David St. John, Larry Levis and now, David Campos. His new collection of poems just won the prestigious 2014 Andres Montoya Poetry Prize, which is dedicated to supporting the work of emerging Latino poets. 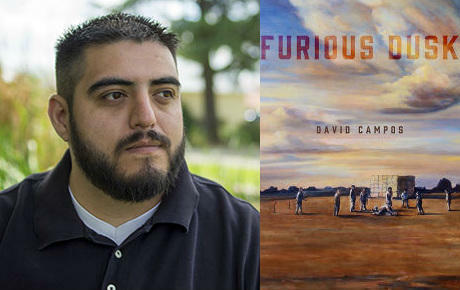 The book is titled “Furious Dusk” and was just published by the University of Notre Dame Press. Campos joined us to talk about his new book, teaching English at Fresno City College and about an upcoming book signing at Fresno’s Arte Americas on March 21. Below is a video poem by David Campos. Letter To My Brother from David Campos on Vimeo.